While the early 1970s saw the publication of The B Book, Bears in the Night, C Is for Clown, The Bears’ Almanac, and He Bear, She Bear, change was on the horizon. “Although paperbacks had been a major and rapidly growing factor in the publishing business since the late forties, they did not become an important factor in the children’s picture book market until Ole Risom came from Golden Books to Random House and created the Pictureback line (a play on “paperback”). 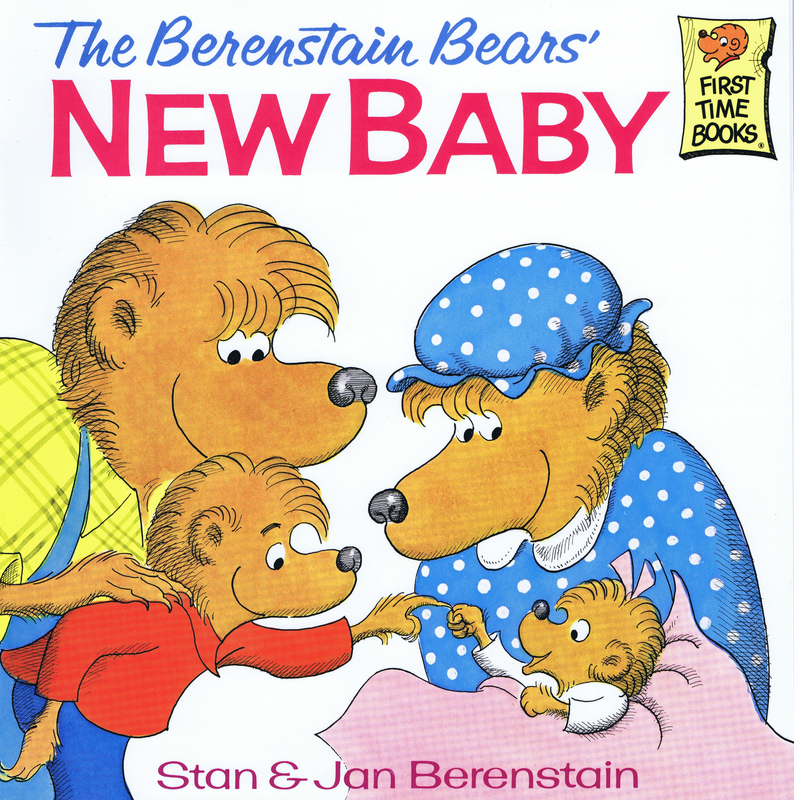 The Berenstain Bears’ New Baby, an early Pictureback title, was an auspicious event for us for a number of reasons. It was one of our first two paperbacks (The Berenstain Bears’ Nursery Tales was first), it brought Sister Bear into the family (changing Small Bear’s name to Brother Bear after that), and it gave us the opportunity to do stories about ordinary, everyday family experiences. 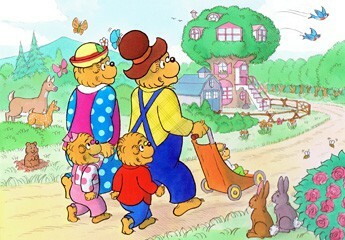 The Berenstain Bears’ New Baby, a First Time Book, was published by Random House in 1974.